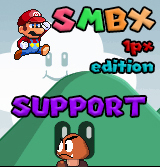 Which version of SMBX2 should be used in development? 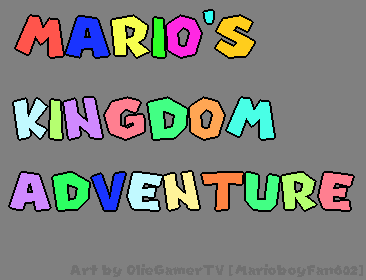 This is Mario's Kingdom Adventure! Even bigger than the "original", and much better! Journey across 9 worlds (and two secret worlds!) as you collect the Stars that have been scattered by... someone? Each stage will feature a unique gimmick, and each stage has 3 Stars for you to find! 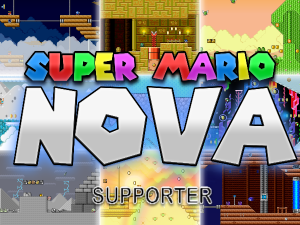 Each HUB world has 1 Star to find too, and each boss level has 4 stars (you get 1 for beating the boss)! 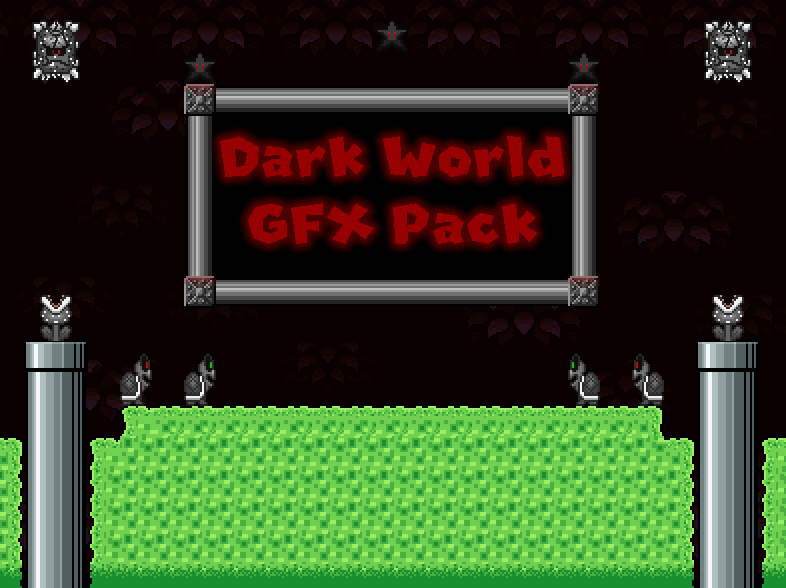 Each World has 7 Stages, which means 7 levels x 3 Stars + 2 Stars = 23 Stars per World, x 11 Worlds = 253+ Stars to find across 77+ levels! 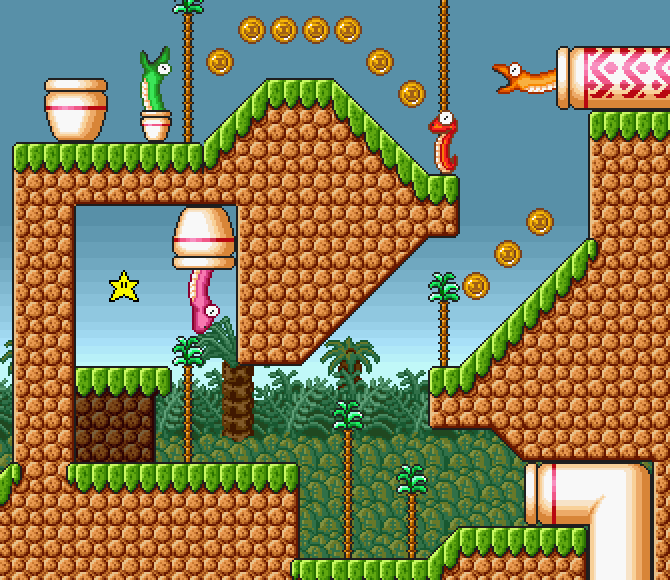 The difficulty in levels increases towards the end of a level, and the levels get harder further into the game. The 3rd level will feature a mini boss and the 6th level will feature a main boss! You need to collect a certain amount of stars in a level to proceed to the next, but you almost never need all stars from a level or world to get to the next one. If you get enough stars you may also be able to skip levels! 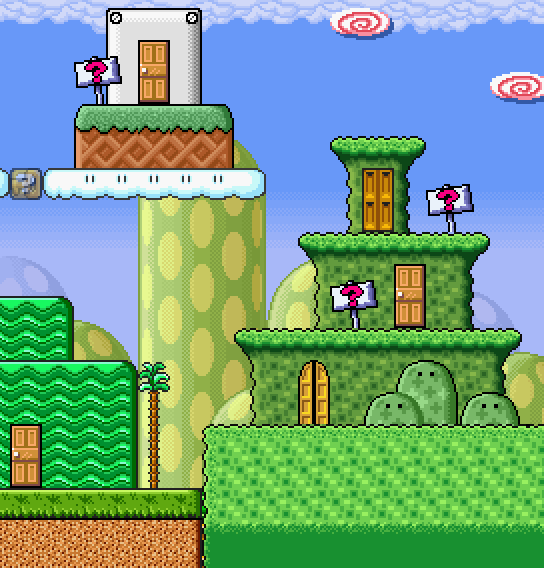 World 1, Simple Springtime: 7 / 7 Levels completed. Hub level completed. 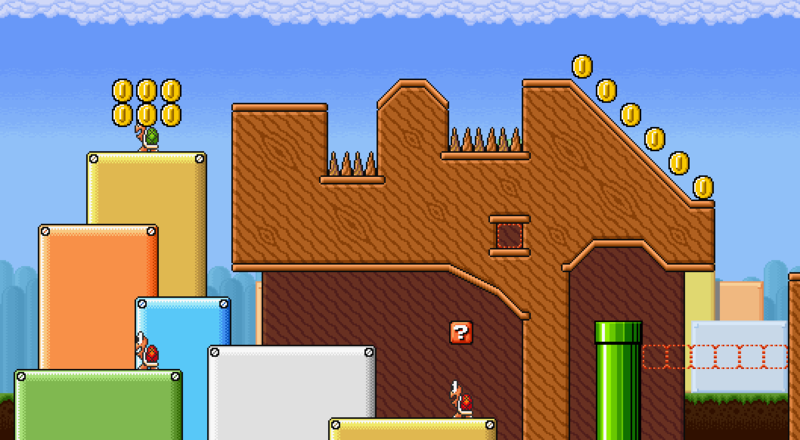 World 2, Dusty Dunes: 7/7 Levels completed. Hub level completed. World 3, Iced Island: 7/7 Levels completed. Hub level completed. World 4, Misty Mansion: 1/7 Levels completed. 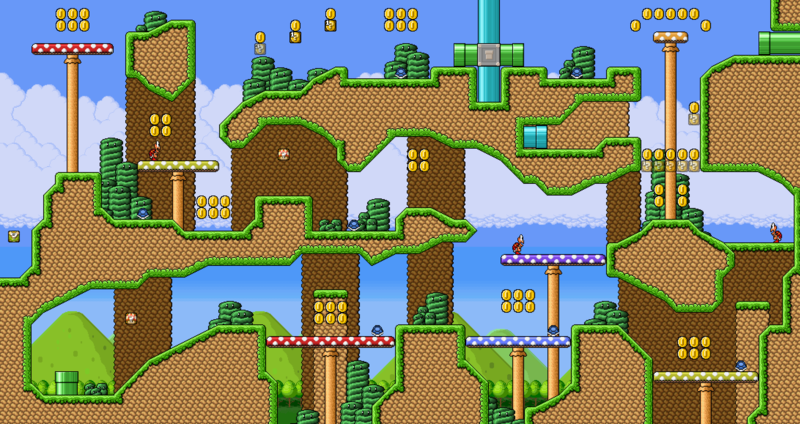 World 7, Crumbling Cliffs: 1/7 Levels completed. New Screens! It's been forever since the last update. Sorry to keep you all waiting! But demo 3 is here NOW! Hope you enjoy Demo 3! See you soon with more! 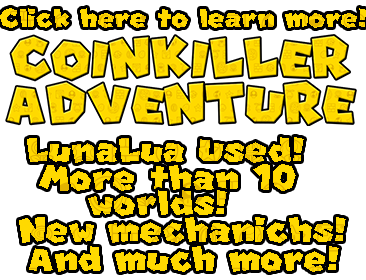 Reminder: You can follow development on the MKA Server on Discord! If you feel i'm forgetting any information on here then do tell me, I'm pretty sure I have everything covered. And btw, although this episode takes some inspiration from Star Expedition, that doesn't mean it is a copy of it. It will feel different, i'm sure it will. As for the last post... April fools! The project isn't really cancelled. 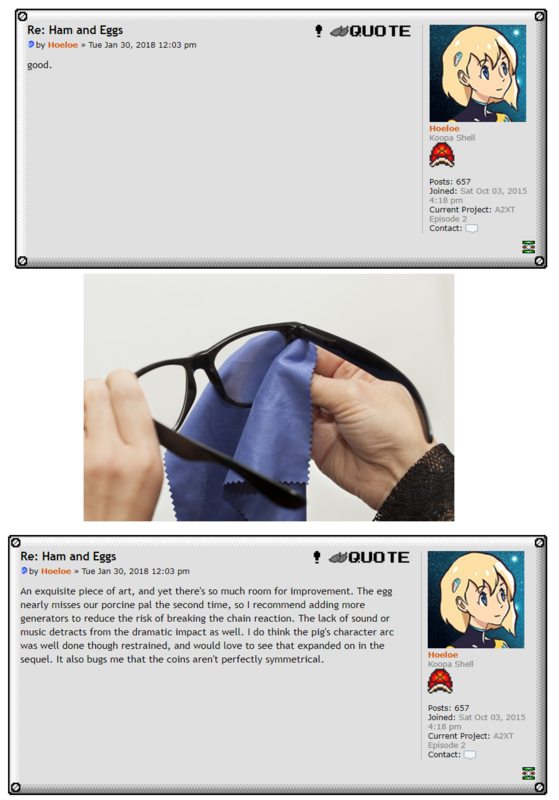 Though this thread is certainly in need of an update, which shall happen pretty soon! Last edited by Taycamgame on Mon Apr 15, 2019 4:43 pm, edited 27 times in total. 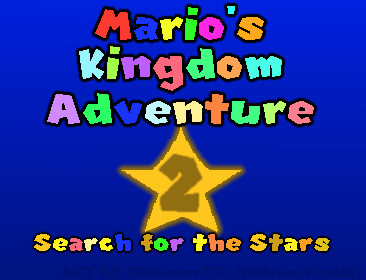 This is Mario's Kingdom Adventure 2: Search for the Stars! Even bigger than the original, and much better! 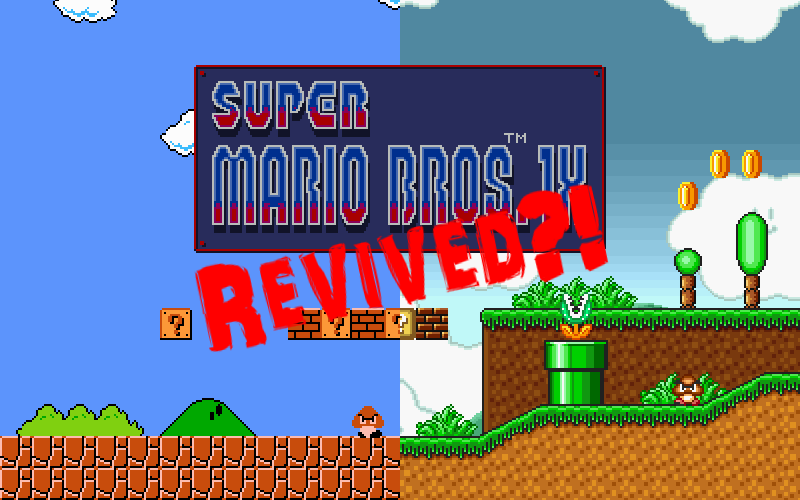 1 year after the original Mario's Kingdom Adventure, Bowser decides to create a new plan. He will once again steal the precious Stars from the Mushroom Kingdom, but this time he will take them from other places too! Mario's only way to defeat Bowser is to take down his enemies and collect all the Stars! Mario will be getting busy in this large world, and he may find that backtracking will be useful if he missed some Stars! Will Mario put a stop to Bowser once and for all, or are things only going to get worse? 190 Stars to find! 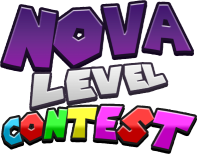 The difficulty in levels increases towards the end of a level, and the levels get harder further into the game. The 3rd level will feature a mini boss and the 6th level will feature a main boss! You need to collect a certain amount of stars in a level to proceed to the next, but you almost never need all stars from a level or world to get to the next one. 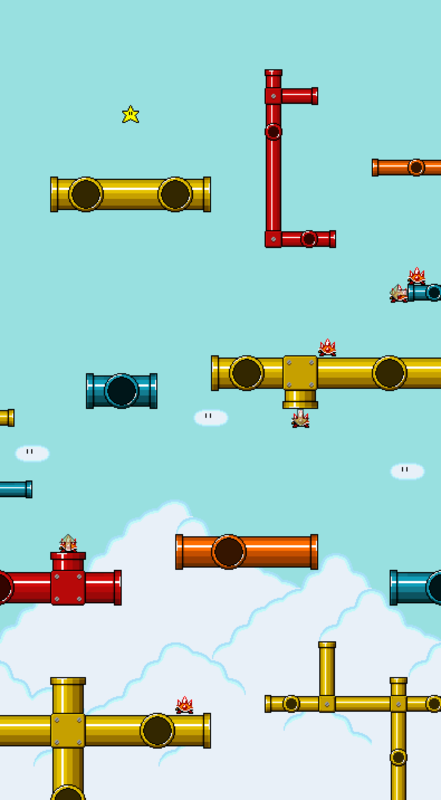 World 1, Simple Springtime: 4 / 6 Levels completed. Hub level completed. A Demo will be released soon, so keep an eye out for it! Do you read minds? I was literally about to ask you to make the second page. Finally! You posted the page! I'm glad to be the first poster. That screen is of 1-4, a level focusing on the Kamikaze Koopas and a climb up a cliff. I'm pretty proud of that level too! 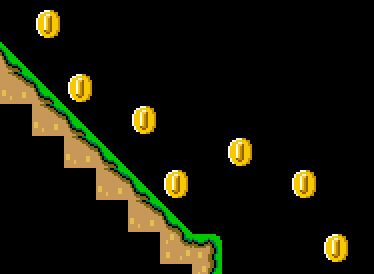 1: The hub is like that because stage 3 is based on SMB2 and the rest are mainly based on SMB3 and SMW. Any suggestions based on this criteria? 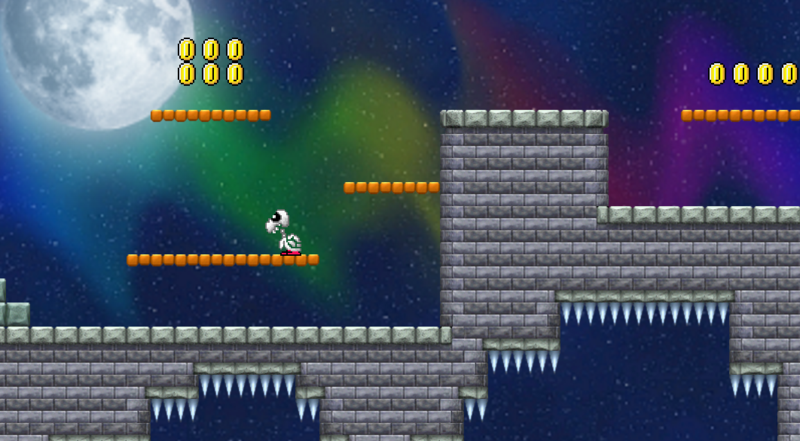 2: The switches don't need to be pressed to complete the level, they unlock the paths to get to the Stars. Also, that is some good advice for coin placement that i'll take into account in the future! 3: The worlds in the game only feature 6 levels currently, and to make that happen i'd have to change the whole ending of 1-3. 1-3 isn't only just a boss level, but it features a boss at the end. (It is like any other level but with a mini-boss basically). That also means i'd have to change 1-4 partially to implement a boss. Also it would require much more idea generation to make the worlds consist of 8 levels rather than the current 6, but i'm sure i'll find a way. Do you suggest I remove the Mid-boss of every world and make it so there is only a boss at the end of a world? The only noteworthy flaw in the hub screen is that there's no space between the SMB2 ground and the SMB3 ground. Otherwise everyone should stop complaining about clash until they can finally point out why it looks bad, bc usually they can't. The word has been used at so many occasions where there wasn't any aesthetic flaw at all. Ok, would putting a pool of water of 1 block wide between the SMB2 and 3 sections work? I don't want a gap to be there. 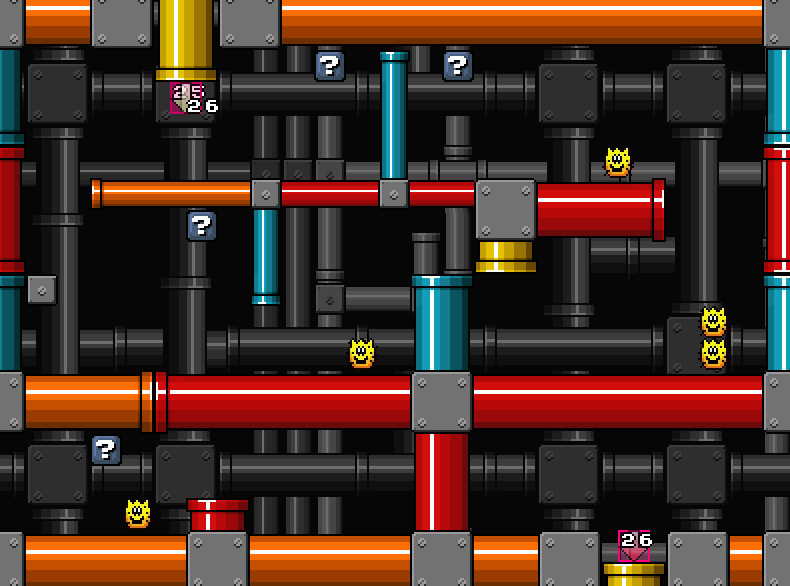 Cedur wrote: The only noteworthy flaw in the hub screen is that there's no space between the SMB2 ground and the SMB3 ground. Otherwise everyone should stop complaining about clash until they can finally point out why it looks bad, bc usually they can't. The word has been used at so many occasions where there wasn't any aesthetic flaw at all. Again, all you do is listing pairs of different styles. This is such an ineffably silly dogma and all you do is following its footsteps. Cedur wrote: Again, all you do is listing pairs of different styles. This is such an ineffably silly dogma and all you do is following its footsteps. Honestly I agree with Cedur, the clash looks fine. I don't even call it clash, I always refer to it as "Style mixing", because that's just what it is. Hey good luck on your project , i like how the screenshots look and also the fact that you have improved since your last project , also what will happen to your last project, if it gets cancelled then what is the point of a sequel if there will never be a prequel? Eri7 wrote: Hey good luck on your project , i like how the screenshots look and also the fact that you have improved since your last project , also what will happen to your last project, if it gets cancelled then what is the point of a sequel if there will never be a prequel? I'll probably do a complete revamp of the last project, but for now I guess you could call it an episode, albeit incomplete. And thanks for the feedback guys! Here we go, another screenshot coming in! I'm gonna try to update this page more frequently now, but remember that i haven't got a huge amount of progress done. Taycamgame wrote: Here we go, another screenshot coming in! Wow, that looks great! I really like the idea of a sky forest. Good work! Thanks! Btw I didn't think of it as a sky forest, i was aiming for some sort of field that was floating in the sky (the level is called Floating Fields). However, now that you mention it, I think Floating Forest would make for a great level idea! Yes, that would be very cool. I still like the idea of the plains, however. I haven't got much progress done due to getting distracted by the forums and the like, but i think i'm gonna be able to get a much better progression rate from here on! 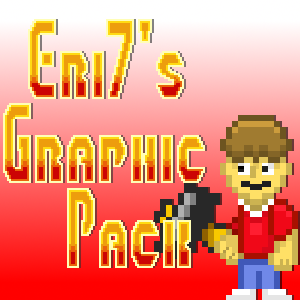 BTW I started this project around December 24th, and I've only finished 4 levels completely. I think that's a bit slow tbh so i really need to stop letting myself getting distracted by things. Taycamgame wrote: I haven't got much progress done due to getting distracted by the forums and the like, but i think i'm gonna be able to get a much better progression rate from here on!